Rachael practises in all areas of family law, accepting instructions in matrimonial finance, cohabitation disputes, public and private law cases concerning children, applications for injunctive relief under the Family Law Act 1996 and cases with an international dimension. Rachael’s practice includes cases in the Family Court and High Court. Prior to coming to the Bar, Rachael worked as a qualified secondary school teacher through the Teach First programme and volunteered as a caseworker for the National Centre for Domestic Violence. She has experience of working with a wide range of clients and her previous experience enables her to bring an empathetic but focused approach to her cases. Rachael acts in a broad range of private law cases for parents, step-parents, grandparents and children through their rule 16.4 Guardians. She has experience of cases involving allegations of domestic violence and issues including substance abuse, mental health issues, parental alienation and allegations of harm to children. She is regularly instructed to undertake fact-finding hearings. Rachael also acts in cases with an international dimension including applications for leave to remove and child abduction cases. Rachael is experienced in working with vulnerable clients. J v P – successfully represented a step-father in a contested residence application between the step-father and biological father in circumstances where the child’s mother had recently passed away. G v Y – obtained findings of coercive and controlling behaviour acting on behalf of the respondent mother in a contested fact-finding hearing. M v HM – successfully represented an applicant who was established not to be the biological father in obtaining substantial contact with the child on the basis of their de facto relationship. 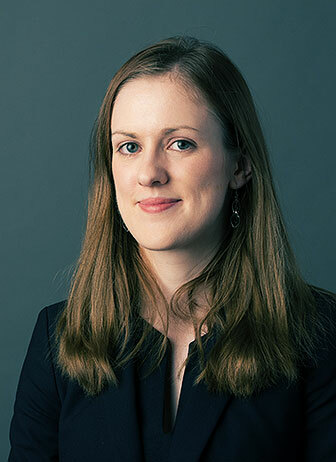 Rachael acts for all parties in public law proceedings relating to children, including local authorities, parents, grandparents and children through their Children’s Guardians. She is experienced in dealing with a range of issues, including neglect, non-accidental injury, parental substance misuse, domestic violence and mental health issues. Rachael has acted in cases involving young people at risk of child sexual exploitation and gang-related activity, including cases involving secure accommodation. London Borough of Merton v SB & Ors  EWFC B81 – acted for the applicant local authority in preliminary hearings in circumstances where the Slovakian Central Authority sought the transfer of care proceedings to Slovakia pursuant to Article 15 BIIR. Re BP children – represented a respondent mother and succeeded in having her four children returned to her care following care proceedings in which a key issue was the mother’s practice of a minority religion. Rachael accepts instructions for all parties in Court of Protection matters, including local authorities and vulnerable adults. Rachael acts in a broad range of family finance disputes, including financial remedies on divorce, TLATA 1996 applications involving cohabitants and applications under Schedule 1 of the Children Act 1989 in relation to financial provision for children. She has experience in cases involving family trusts and third party interests, non-disclosure of assets, and cases with an international element, including Part III applications for financial relief following a foreign divorce. Rachael also acts and advises in enforcement proceedings and appeals. In addition to cases concerning finance, Rachael has experience of acting in contested divorce matters. R v C and C – represented the second respondent wife of the primary respondent to a Schedule 1 application, in circumstances where the wife was a protected party due to lack of capacity. C v C – successfully appealed a Mesher order requiring a wife with 3 young children to vacate the family home after 5 years and obtained an extension of the Mesher period to 16 years on rehearing. Rachael acts in proceedings with an international element in respect of both children and finances. Rachael has experience in a broad spectrum of cases with a foreign dimension including cases involving substantial assets located outside the jurisdiction, applications for financial relief following a foreign divorce and international child abduction matters.